What the moderator failed to mention is that Night Clock is now just a clock style called Edge Clock for Always On Display (AOD). It’s a change Samsung made when the Galaxy S8 was launched, and it has now trickled down to the Galaxy S7 edge with the Oreo update. It makes sense, too, as AOD uses the ambient light sensor to adjust its brightness. Being a part of AOD, the clock’s color can be changed as well, and you can also have the clock enabled for more than the 18-hour limitation of Night Clock. 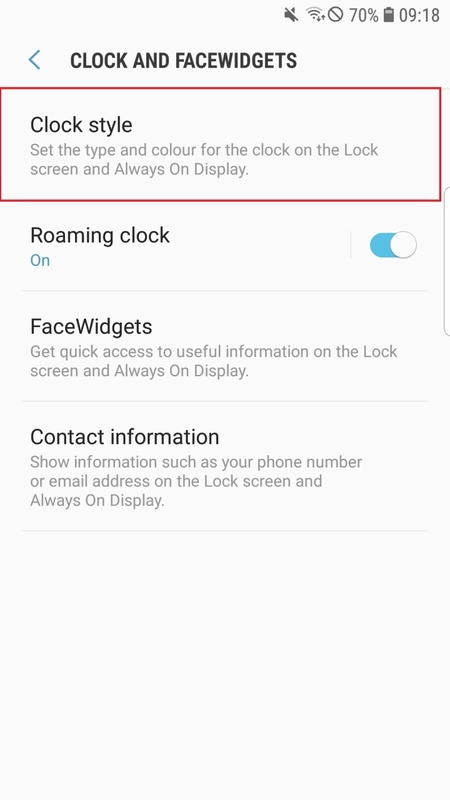 Step 1: Open the Settings app on the phone, then tap Lock screen and security. Step 2: Here, first ensure you have Always On Display enabled. 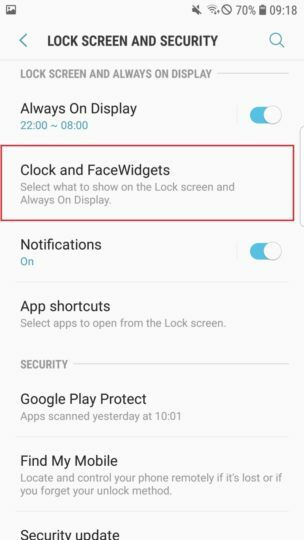 If it’s not, simply tap the toggle next to the Always On Display option to enable it (check out this post for a guide on how to customize AOD to your liking). Step 3: Now, tap the Clock and FaceWidgets option. Step 4: Tap Clock style to see the list of clock styles available. Step 5: Here, swipe left in the dock that shows you the various clock types until you get to the end. The Edge Clock is the second to last option here; tap it to set it as the Always On Display clock style. Once you have enabled Edge Clock, you can customize its position and color. For more on what changes Oreo brings to your Galaxy S7 and Galaxy S7 edge, check out our What’s New With Android 8.0 Oreo series of articles. Some of it is exclusive to the Galaxy S8 and Galaxy Note 8, but other stuff – such as the upgraded Samsung Keyboard – apply to the Galaxy S7 and S7 edge as well. But like others have said, the night clock was on the very edge on the curve, the Edge clock isn’t its on the screen facing upwards about 5mm from the start of the screen curve, usless now, after 10 years the WILL be my last Samsung phone, I’m sick to death with all the updates which actually remove features that people use and have done for years! Looks like they are following Apple and if that’s the case I’m off! 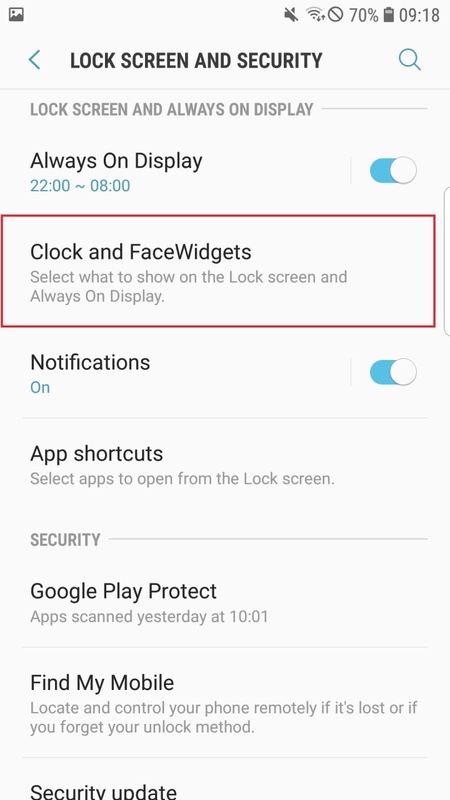 The point about night clock was exactly what the name implies, to show different edge clock during night and than to switch back to front full screen aod clock. Now you can’t set more than one schedule, ie you can’t set different clocks during day and night. Why is that so hard to understand? Finally S7 Edge SM-G935FD getting 8.0 Oreo in India today[08/06/2018]. Everyone still talking about using Oreo and it is not even going to be released for USA for more weeks. Getting sick of waiting for nothing to happen. now this night clock is not at all on the edge it was before. is on the flat part of the display. 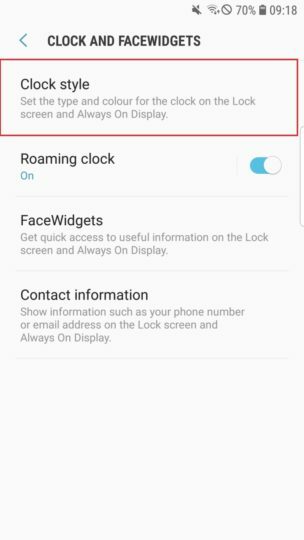 But why did Samsung remove support for S View Cover for S7 Edge (the version with a small window on top)? I can’t use my camera or quick call options or the notification bar (for toggling the sound and the flashlight) anymore. I only have FaceWidgets now, so it kinda defeats the whole purpose to use that cover anymore. Can you show this on video ? Search the youtube channel Mehdi’s TechCircle and find his video with title “My thoughts about the official Oreo update for the S7 and S7 edge (Quick Review)”. He’s using the S View Cover on his S7 Edge in that video and explains the problem that I’m having as well with the same cover. I don’t think we’re allowed to post links here so I had to explain how you can find this video. Hope you can find it and watch it, also the problem is explained somewhere in the middle of the video. This is a known issue, there is a fix for it. The cover works, it’s just that the whole idea about it has been changed. Instead of quick shortcuts and the ability to read notifications, now I get a reduced lockscreen on the window, where I can only use FaceWidgets and see that I have some messages/notifications (I can’t read anything about them like I used to be able to). Dude, let them release the update here in India.Even you guys are trolling the sh** out of us. Well maybe now they believe me that i have it on my 7 edge Oreo!!! That’s normal, customer care is usually there for helping with issues instead of offering information on future plans or software updates in general. Samsung customer care is too often with that kind of information anyway, so it’s not surprising. 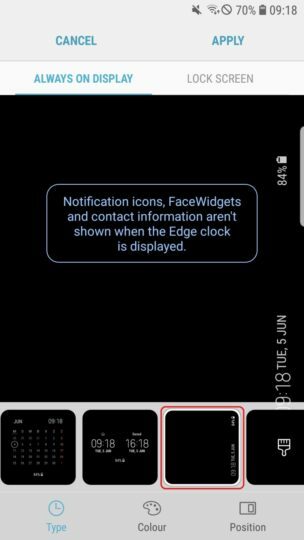 Not to mention there isn’t usually a set date for updates, as it comes out when it’s ready or when Samsung wants to release it (like it tends to release a major update for last year’s Note device in India just when the new Galaxy S flagship is launched). It might be the case with Samsung, replying with exact same texts to all customers everytime, but HTC, LG, Sony etc have at least some pleasing or satisfying comments for customers, period. Far better than Samsung care used to. From my experience.